The stories and tales presented in the Marvel and DC comic universes have many roots in technology, engineering, and science. A component of the Society of Women Engineers' mission is to demonstrate to girls not yet in high-school or college that a future in engineering and technology careers is interesting, valuable and important. 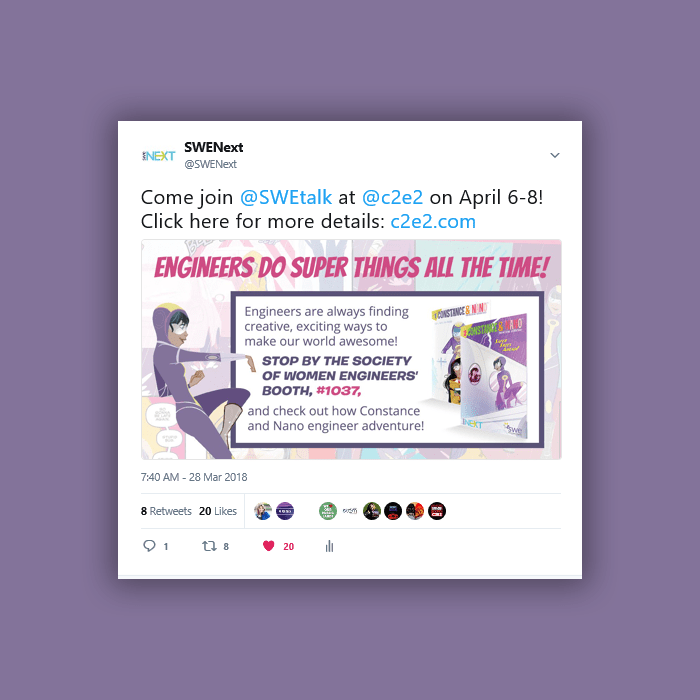 We saw an exciting opportunity to bridge the world of comic book heroes and real-world heroes that impact everyday life: engineers, more specifically women engineers. 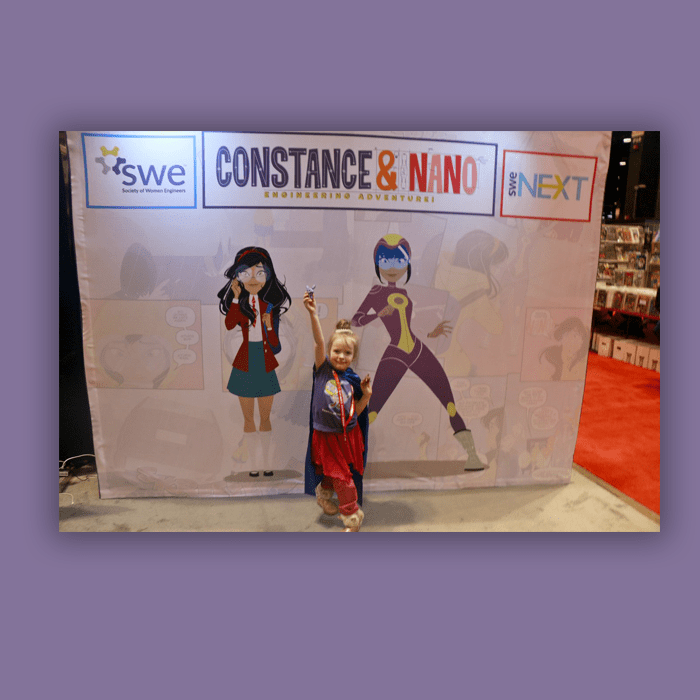 So we worked with SWE and IDW Publishing to create the Constance and Nano comic book series. Creating branded content through comic books has proved to be a great way to break down engineering stereotypes with the younger generation and make the science and technology behind our human world easier to relate to. A component of the Society of Women Engineers' mission is to demonstrate to grade school girls that a future in engineering and technology careers is interesting, valuable and important. SWE partnered with David James Group to execute this idea in the form of a creative comic book hero. The stories and tales presented in the Marvel and DC comic universes have many roots in technology, engineering, and science. We saw an exciting opportunity to bridge the world of comic book heroes and the real-world heroes that impact everyday life: engineers. More specifically, women engineers. So we worked with SWE and IDW Publishing to create the Constance and Nano comic book series. Each issue of the comic book series focuses on an engineering discipline, educating on how common every day problems can be solved with engineering. 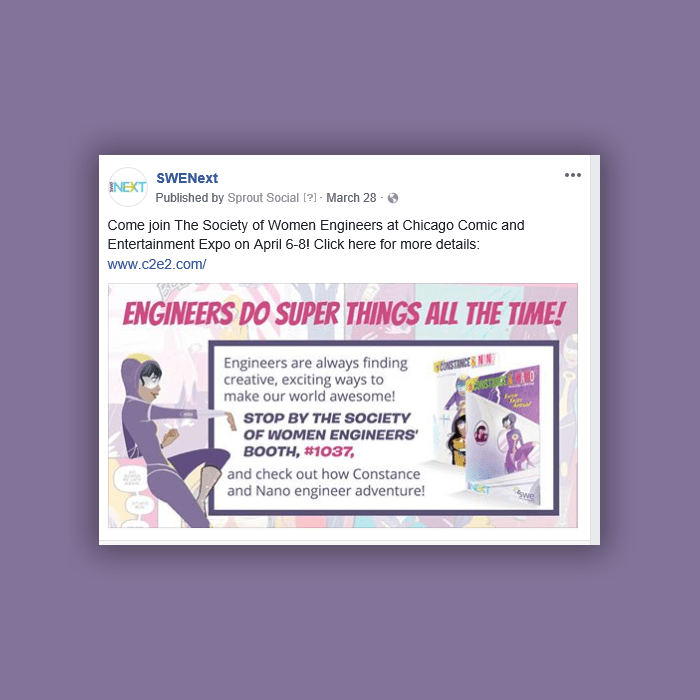 Creating branded content through comic books has proved to be a great way to break down engineering stereotypes with the younger generation and make the science and technology behind our human world easier to relate to. 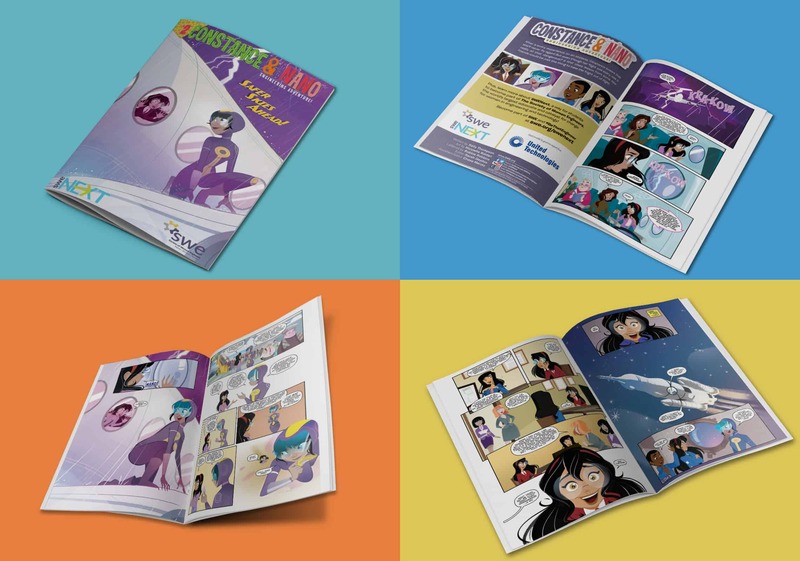 The comic book series addresses SWE’s mission to engage young girls in engineering and to show them that they can change the world with engineering. SWE and DJG released a third issue in the comic book series in fall 2018. 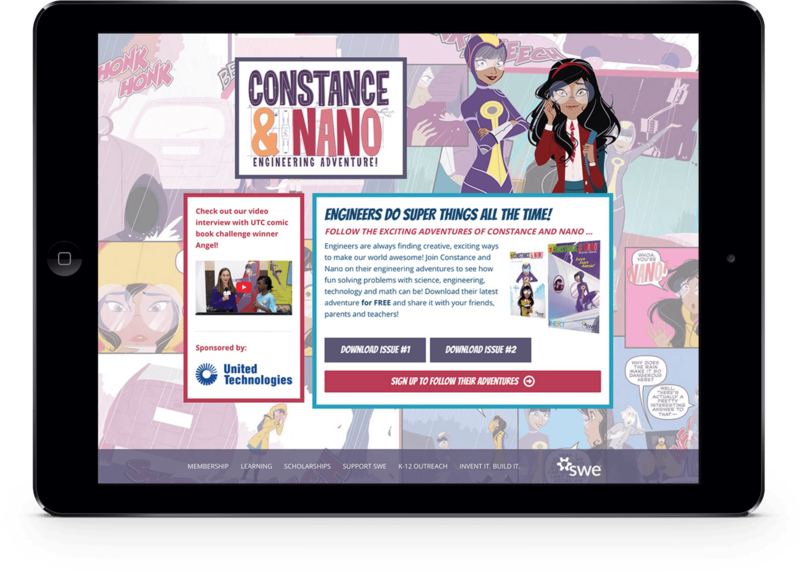 Since 2016 when the comic book first launched, 15,000+ comic books have been printed and distributed, 4,000+ users have visited the Constance and Nano microsite, and there have been 800+ direct downloads of the comic books in digital PDF version. 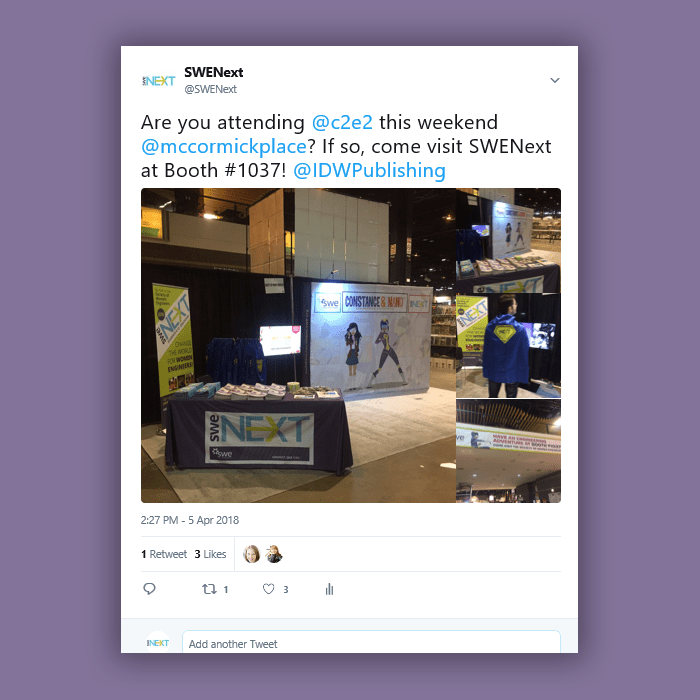 In April of 2018, SWE was an exhibitor at the Chicago Comic & Entertainment Expo (C2E2). 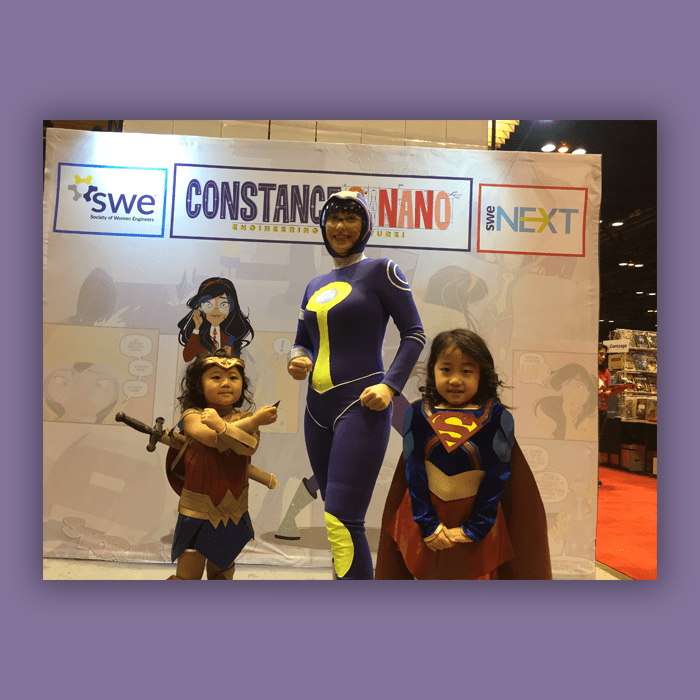 We featured Constance and Nano (including a cosplay "Nano") and had a great time promoting the series to the public and inspiring future engineers! DJG worked with SWE to create an integrated event promotion campaign as well as onsite execution. Karen Horting, SWE's executive director, also participated in a panel on STEM (Science, Technology, Engineering and Math) and comic books. Issue #1: "Rain, Rain, Go Away!" Issue #2: "Safer Skies Ahead!" 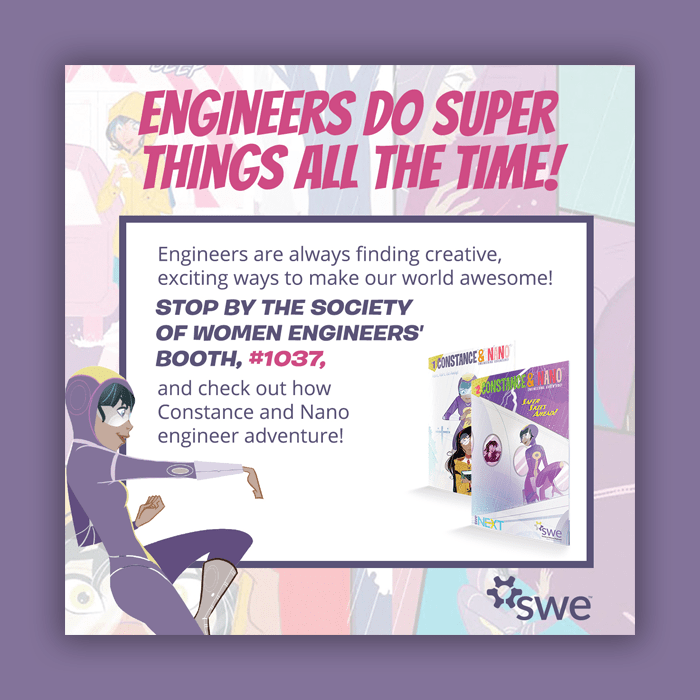 SWE President Jessica Rannow interviews Kelly Thompson of IDW Publishing about her work as a professional novelist and comic book writer and her involvement with the development of the new SWE comic series, Constance and Nano. 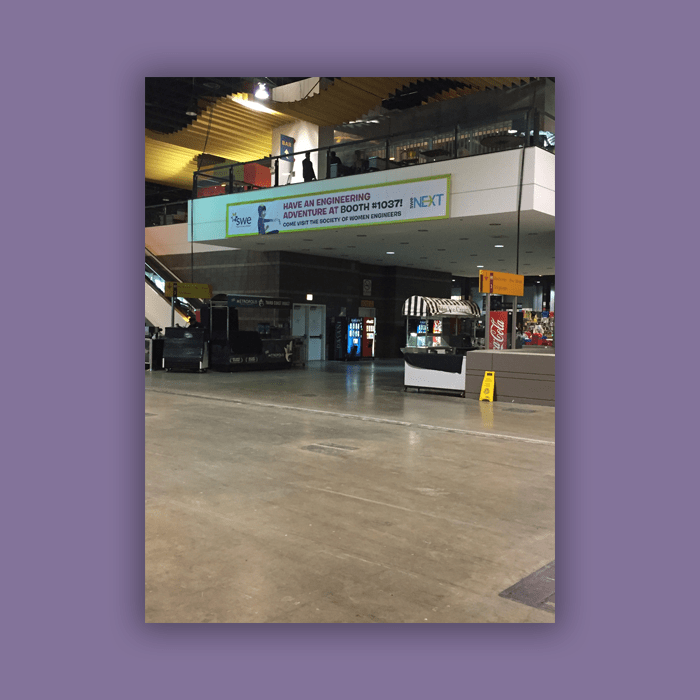 In April of 2018, SWE was an exhibitor at the Chicago Comic & Entertainment Expo (C2E2). 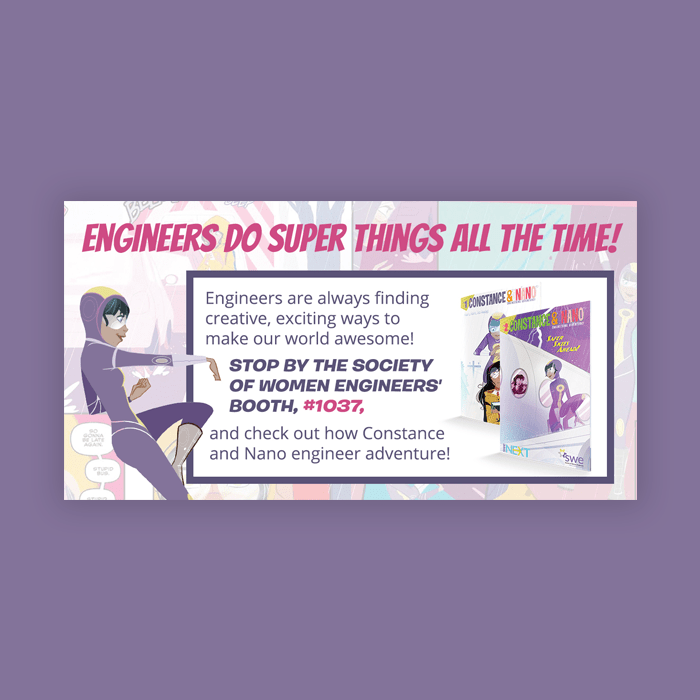 We featured Constance and Nano (including a cosplay "Nano") and had a great time promoting the series to the public and inspiring future engineers! Below are components from our integrated event promotion campaign as well as onsite photos. 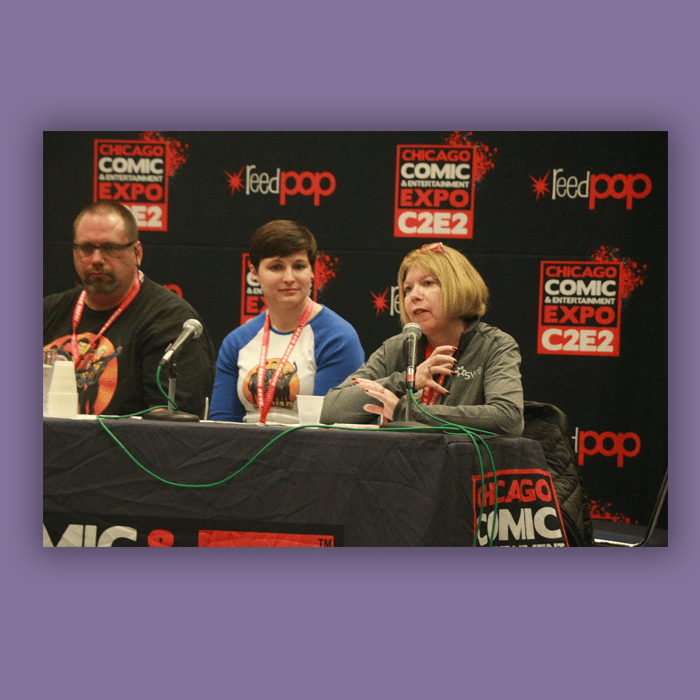 Karen Horting, SWE's executive director, also participated in a panel on STEM (Science, Technology, Engineering and Math) and comic books. Email us or use our live chat feature below to learn about how you can cause a stir with your outreach efforts.